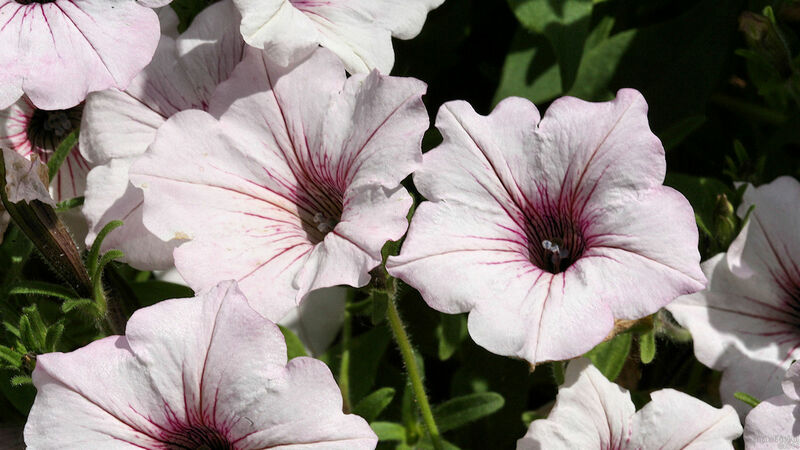 Closeup photo of some white petunias. Enjoy! petUNias!!!! how was it the 3 stooges said it?? I don't know but thanks, sed.